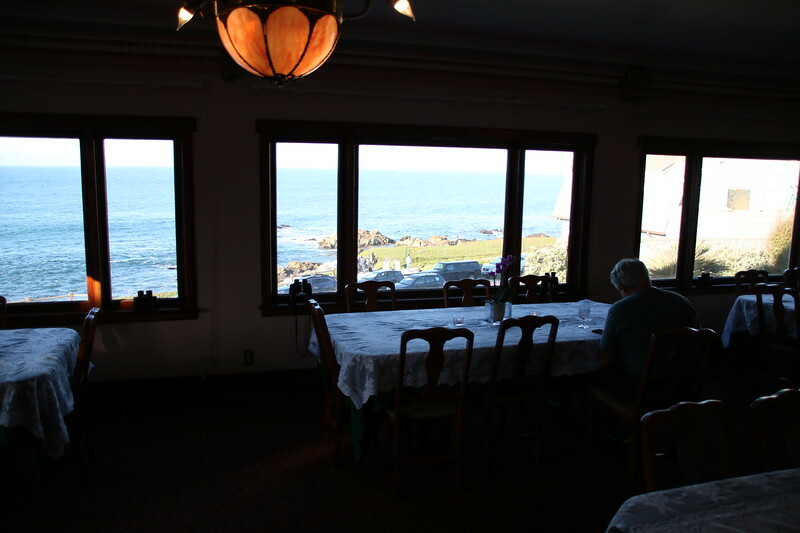 As I wrote about recently, there are surprisingly few hotels on the water on the Monterey Peninsula, and only 3 Inns. 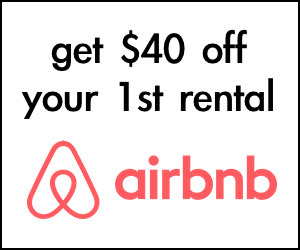 We had a chance to stay in one recently and this is what we found. 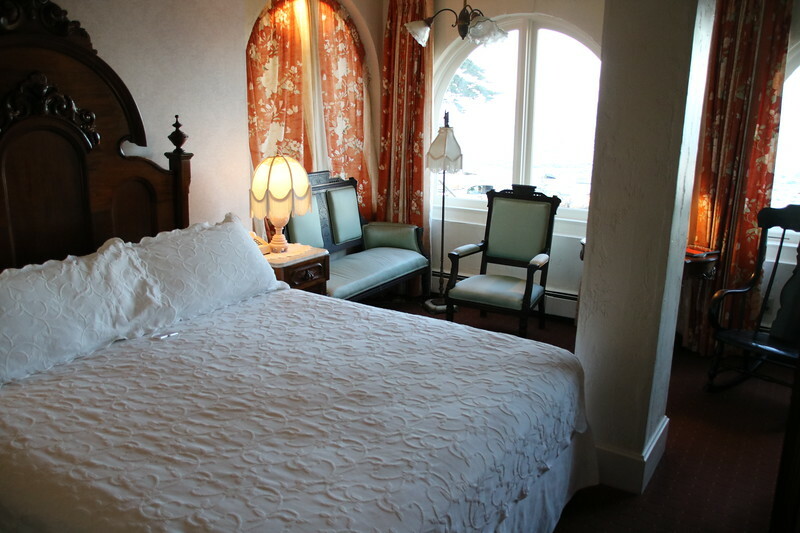 The Martine Inn is located in Pacific Grove in easy walking distance from the Monterey Bay Aquarium and just across the street from where the harbor seals hang out at the Hopkins Marine Institute. 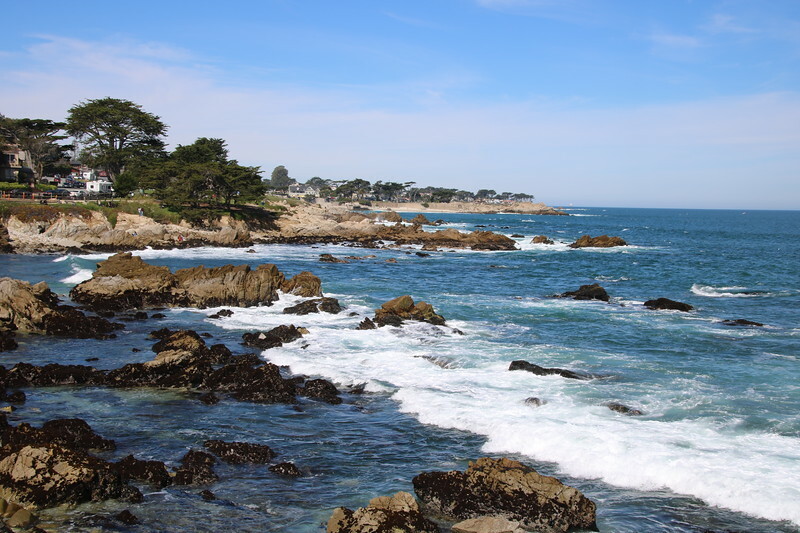 It is on one of my favorite stretches of coast in California between Lover’s Point and Cannery Row. 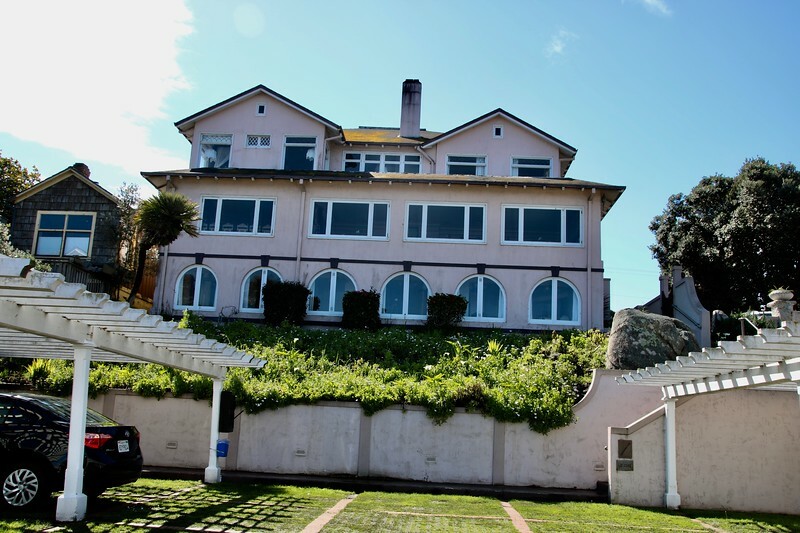 The Martine Inn was built originally in 1899 as a large family home / mansion and even the current owner Don Martine did not intend to open an inn when he bought the then rundown property in 1972. 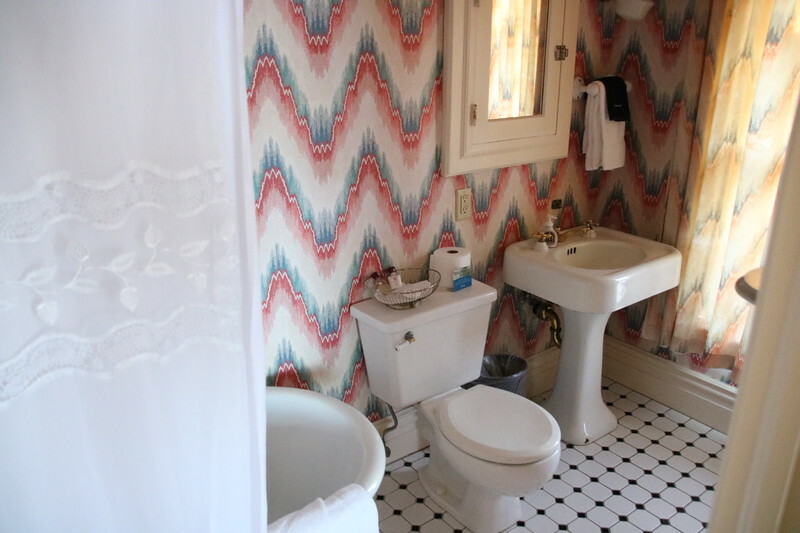 But after he had sunk a lot of money into lovingly renovating the property but still was only halfway through, he decided that the house needed to pay for itself. He opened it as an inn in 1984. 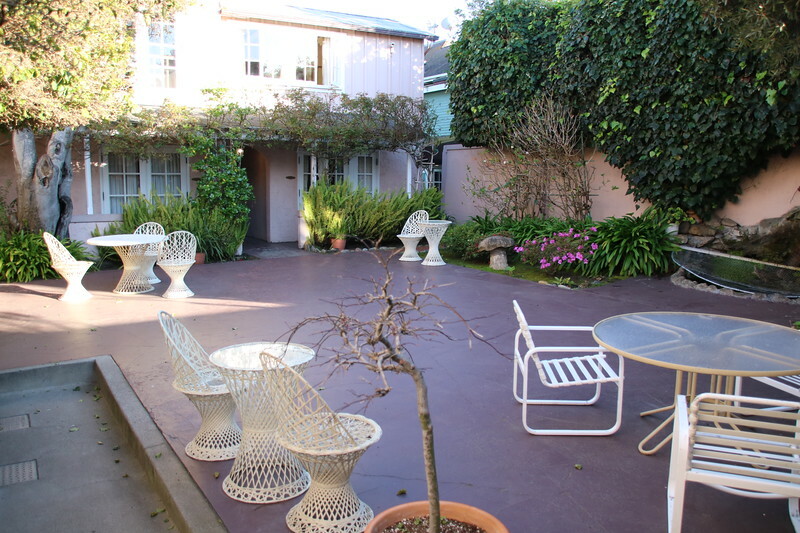 Martine expanded on the 8,000 square feet main house by buying adjacent properties. 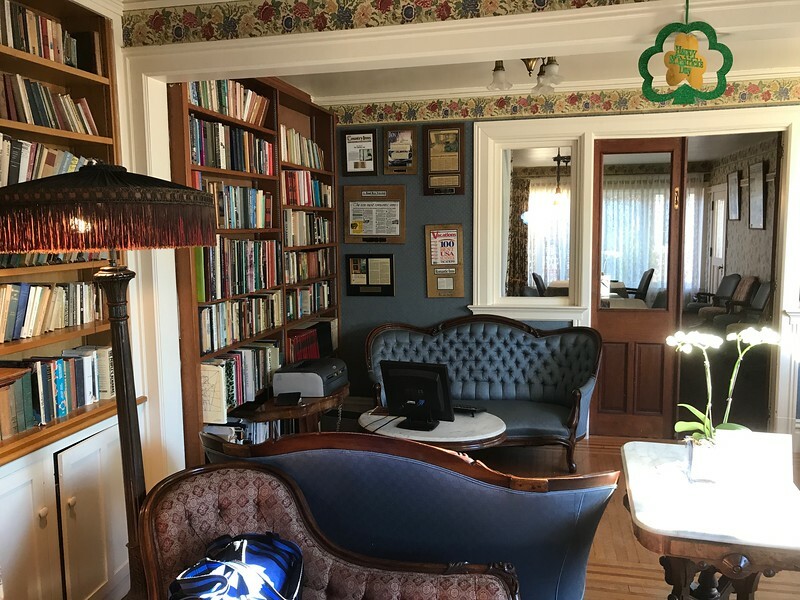 The Inn now has 16,000 square feet of space, including a conference room for business meetings and a front parlor with games and a baby grand piano. When the house was built there was a railroad across the road that carried sand from Spanish Bay and later carried passengers, but that railroad has been converted into the Monterey Bay Coastal Trail. 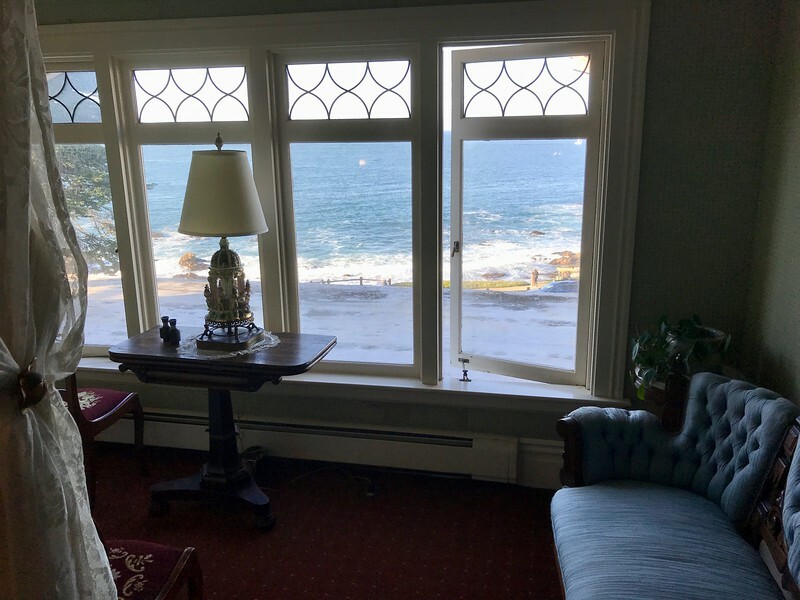 The Inn has many of the things that you would expect from a Pacific Grove Inn like rooms decorated in period furniture from the 1800s, welcoming parlors, and a welcoming staff. 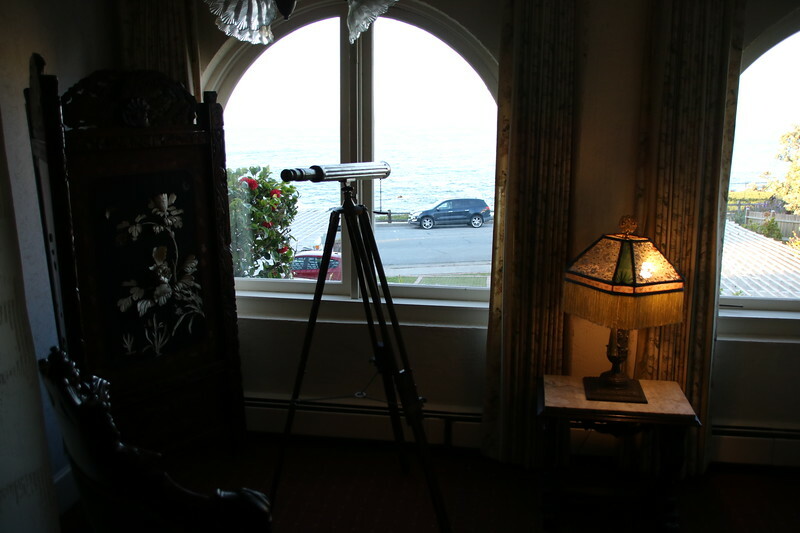 It has a large breakfast room overlooking the coast and a few parlors on the front of the house with the same view, each with binoculars or a telescope for checking out the otters or other sea life along the shore. 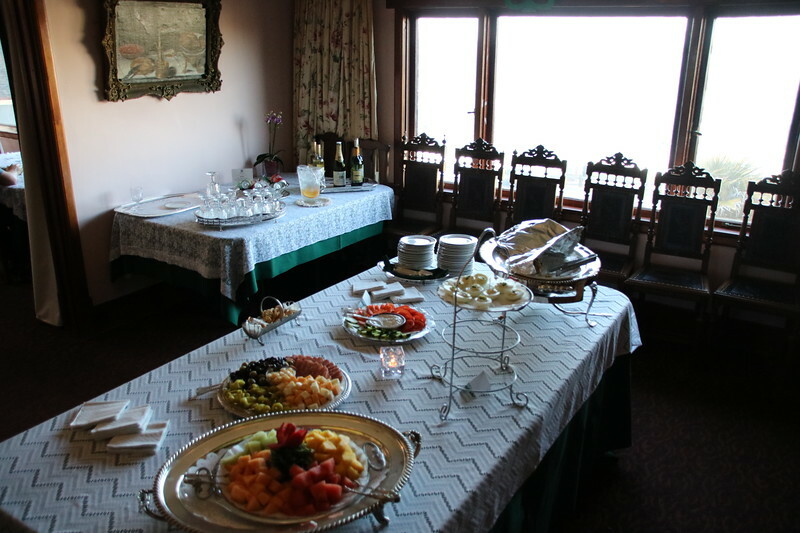 In the afternoon there is a wine reception in this beautiful location complete with what is either substantial hors d’ours or a light supper. 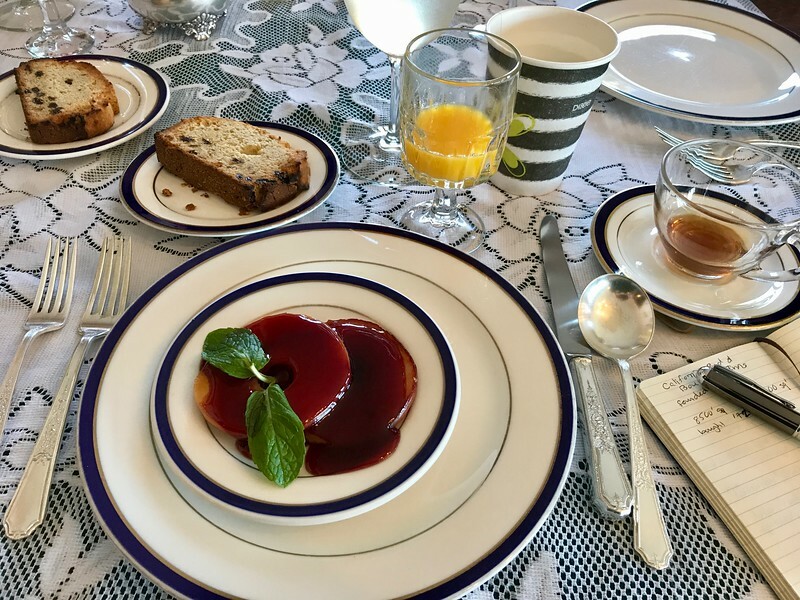 In the morning breakfast is included. 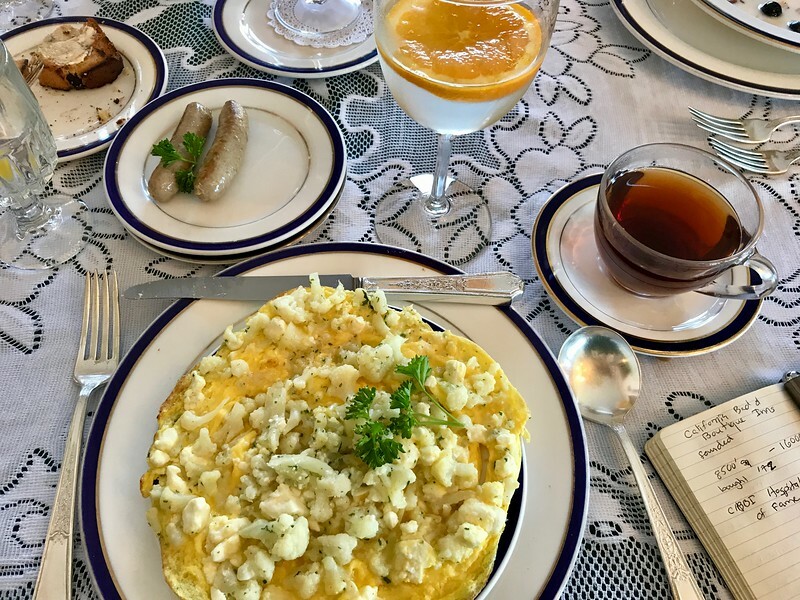 The day we visited was St Patrick’s Day and my cauliflower omelette was accompanied by a scrumptious Irish Soda Bread. 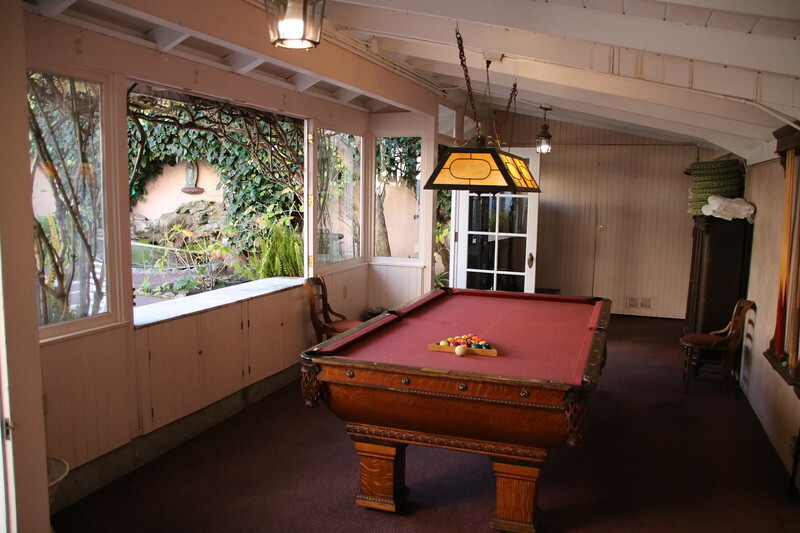 There is a large patio hidden out the back of the property with a ping pong table and a pool table room adjacent. 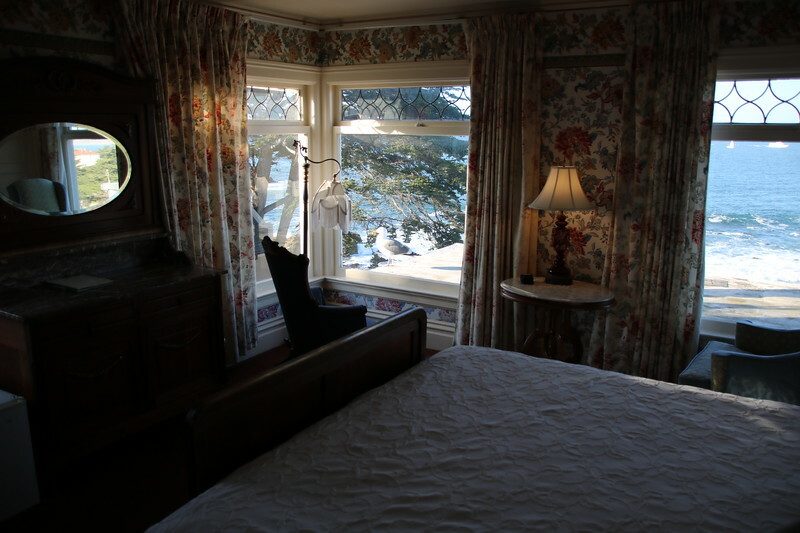 But the Martine Inn also holds a few surprises. Don Martine was a former management consultant. 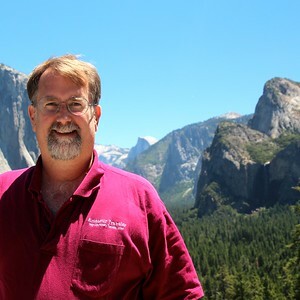 He was on the chamber of commerce and the city council in Pacific Grove and work on a beautification bond for the city. 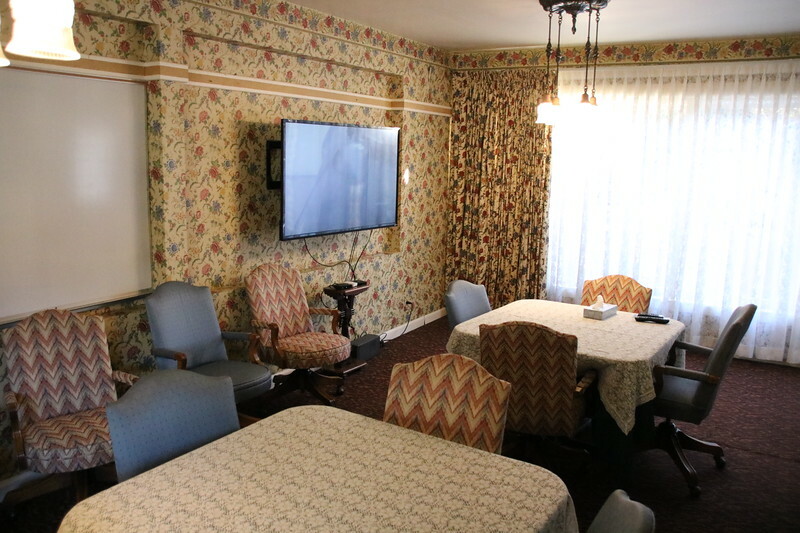 He was also a founder of the California Bed and Boutique Inns and worked to merge that with the California Hotel & Lodging Association who elected him to their Hall of Fame in 2011. 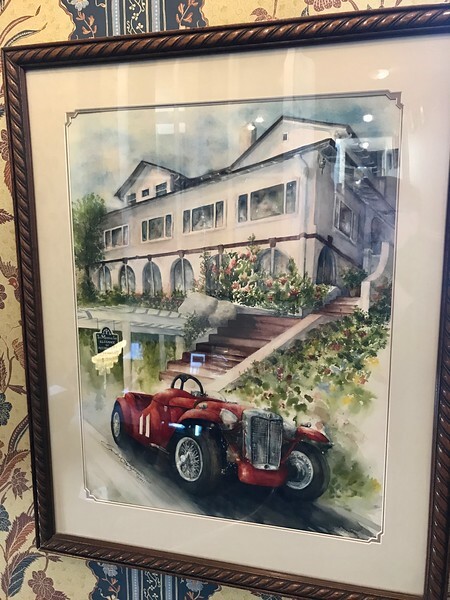 But it is not these that have influenced the decor of the Martine Inn as much as Martine’s love for racing and collecting vintage MGs. 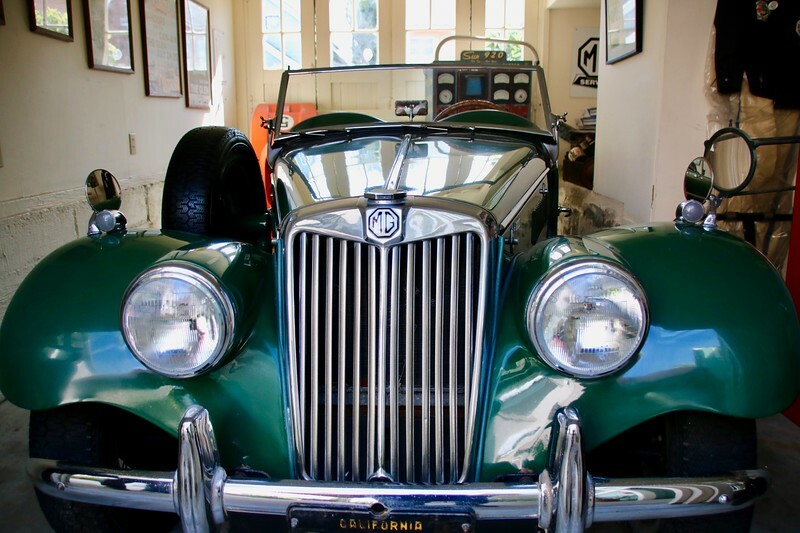 For a fascinating glimpse into the history of racing in the U.S. and in California, spend a few minutes talking with him about his cars. 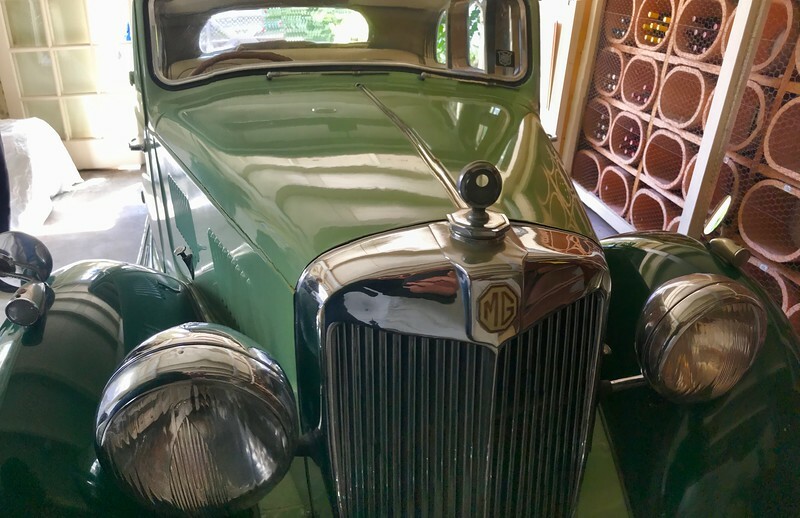 Martine’s father bought an MG in 1950 which was the same year as the first Pebble Beach sports car race which was won by driver Johnny Von Neumann in an MG. Johnny would race that car all over the U.S. winning again and again. Martine started racing at Watsonville where he ran old jalopies on a dirt track when he was young. 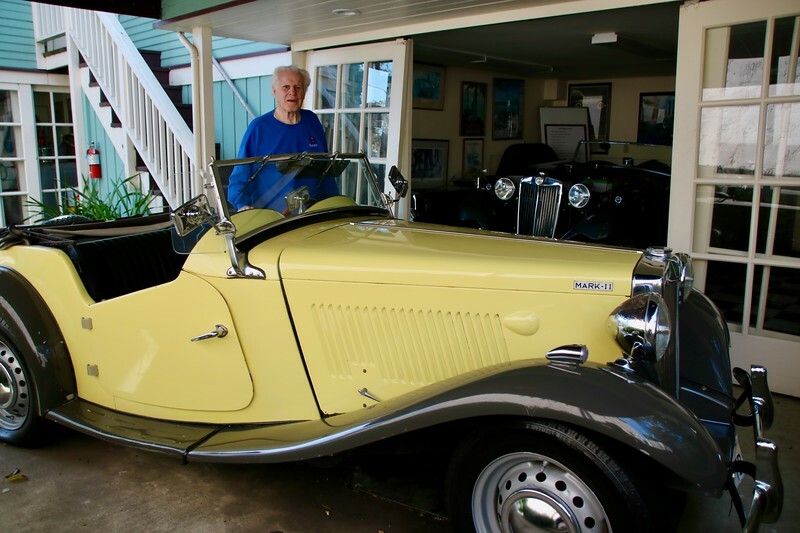 Years later a friend (founder of Mos Motors) bought the Von Neumann MG and Martine raced it for him 140 times at races around the country. He took first in that car 25 times. Years later he bought the Von Neumann car and owned it for a time. 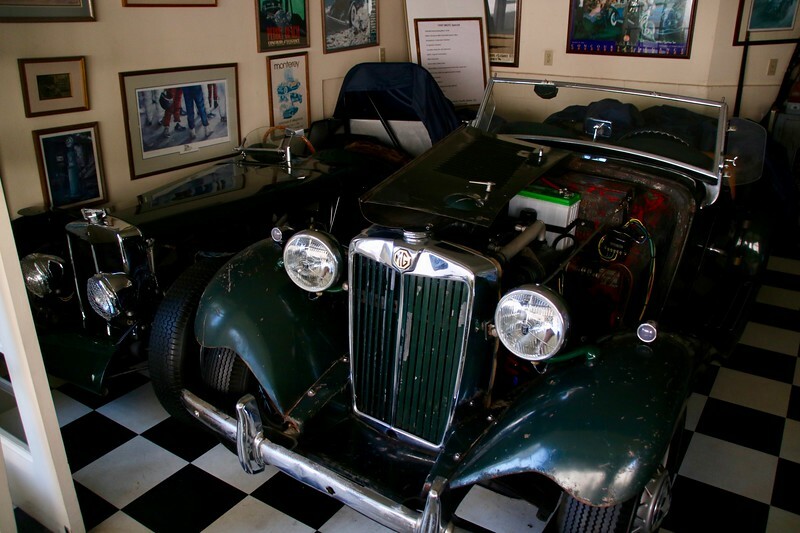 He still owns the Von Neumann car’s twin which was special ordered as a race car. 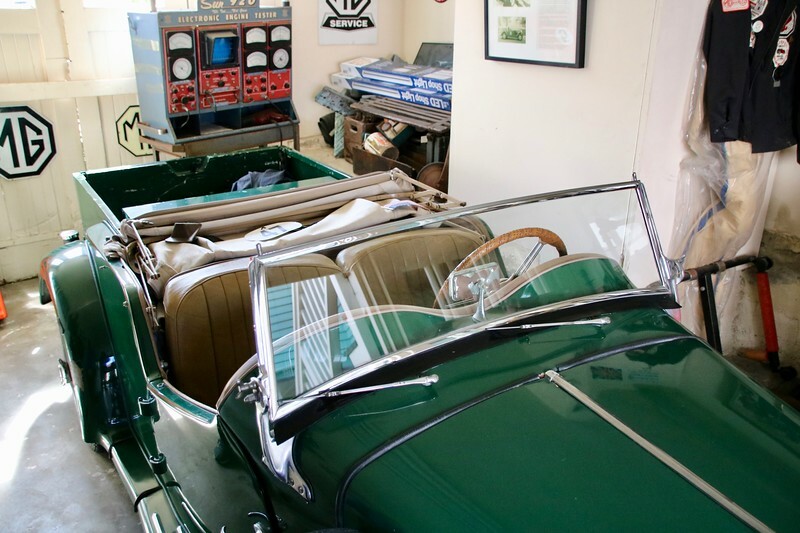 That car had disappeared into another collectors garage and dropped from sight for over 20 years until Martine received a call one Valentine’s Day asking him if he wanted to buy the car. The car had been gathering dust for years and the collector’s gift to his wife for Valentine’s Day was to finally get rid of it. 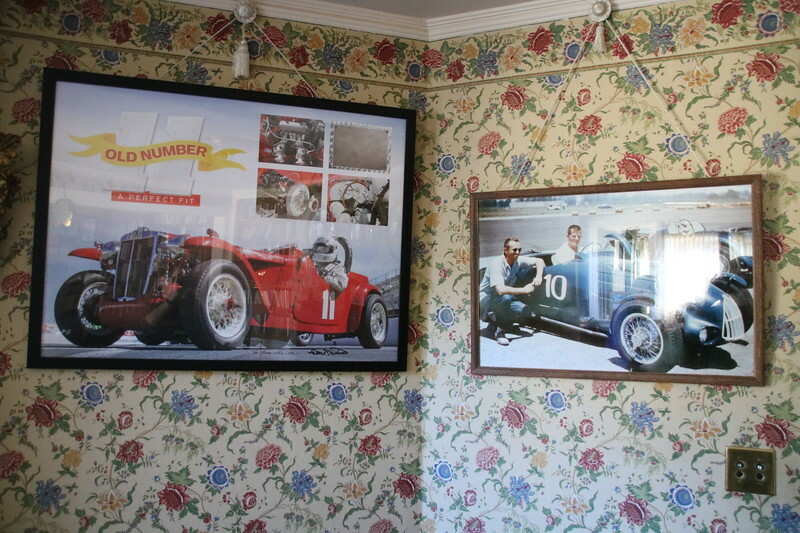 In the back of the inn, you can still see some of Martine’s collection of vintage MGs, including at least one race car, one coupe and one homemade MG pickup truck that an MG fan who was getting older modified to hold his wheelchair. There is probably at least one “project” car under a tarp someplace that is in the process of being turned from a wreck to a relic. You might see it in next year’s Good Old Days Parade in Pacific Grove. 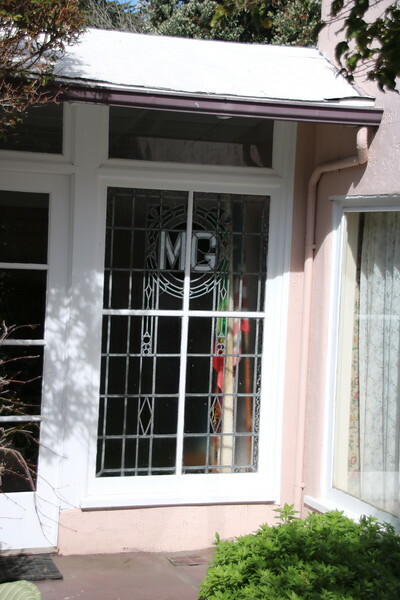 If you look carefully off the patio in back you will spot a stain glass window that came from the original MG showroom in London. 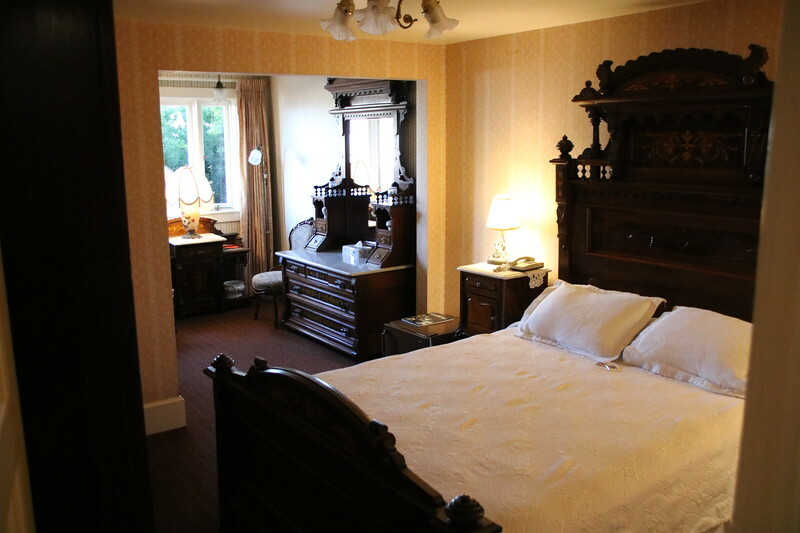 Even if you are not a fan of racing, the Martine Inn is an amazing place to stay. My wife wanted a picture of the seashore in front of the house and kept shooting more and more photos. “Every time I look it has changed and I want to capture that too”, she said. “I could sit and look at it all day long”. My stay at the Martine Inn was sponsored, the opinions are my own.